Coordinate the Kids’ Space. Although kids appreciate their own table, you don’t have to sacrifice style. When I planned this Thanksgiving table, I chose a color palette of cranberry, candlelight orange, and tan. The dessert table, adult table, and kids’ table all incorporated these colors. 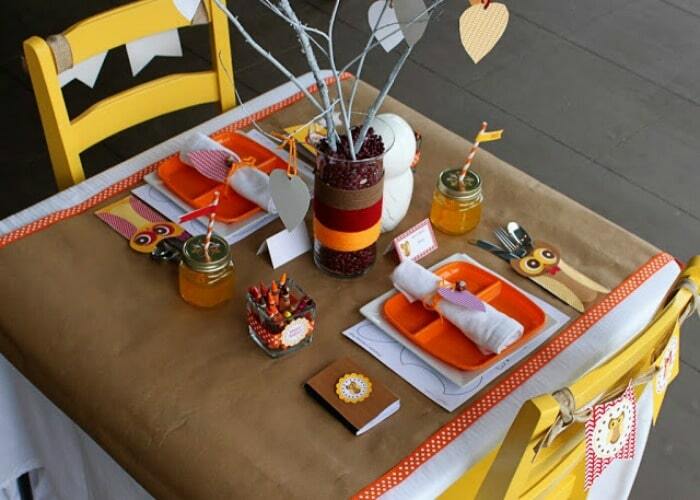 Basic kraft paper can be elevated with grosgrain ribbon and placed on top of the kids’ table. 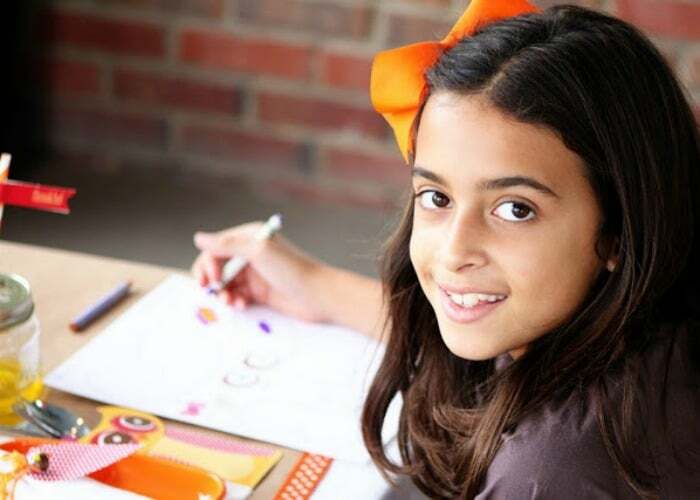 The kraft paper serves to keep the linens clean and as a spot for kids to doodle. 2. Offer plenty of activities. Providing activities for the kids keeps them occupied for several extra minutes after they finish their meal. 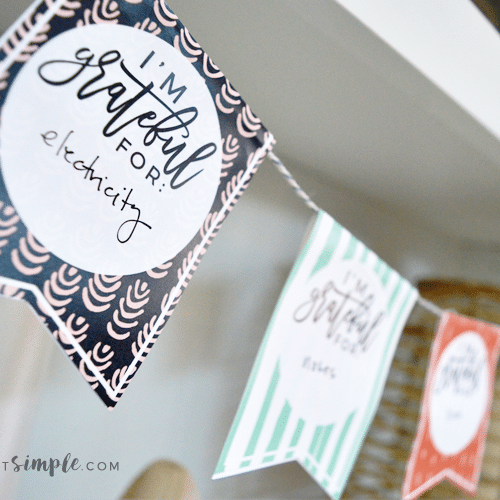 One simple activity is a Thankfulness Tree. A small “tree” can be set up on the table by placing branches in a vase. 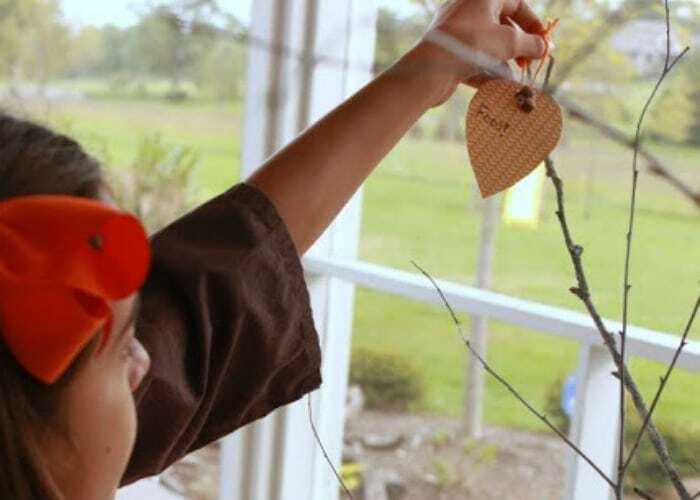 The kids then write what they are thankful for on paper leaves and place them on the tree. The tree also doubles as an inexpensive centerpiece. 3. Take it Outside. If the weather permits, set up the kids’ table outdoors. Kids generally love being outdoors. For school-aged kids, when they are done eating, they can play outside until the grown-ups finish their dinner. If Thanksgiving Day is too chilly, choose another kid friendly spot for the kids’ table. Setting up the table in a playroom, basement, or even a child’s bedroom allows the kids the freedom to play after they clean their plates. 4. Add Natural Elements to Décor. Fall is a great time to find décor in your own backyard. For the Thankfulness Tree, I gathered twigs from my backyard and spray painted them white for a modern look. 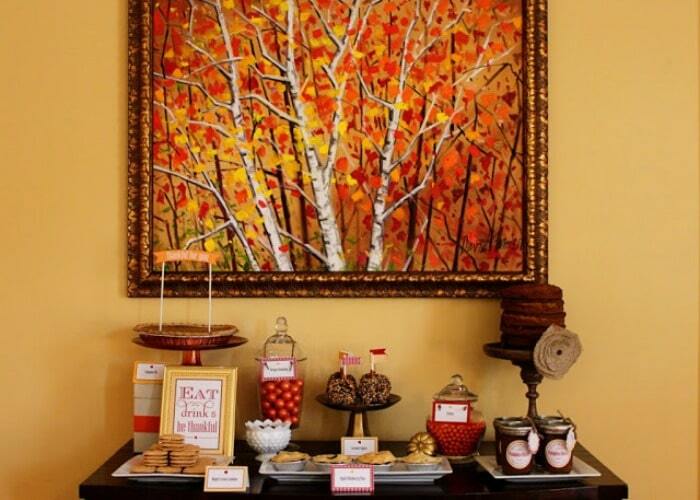 The dessert table included acorns and mini pumpkins upgraded with gold spray paint. 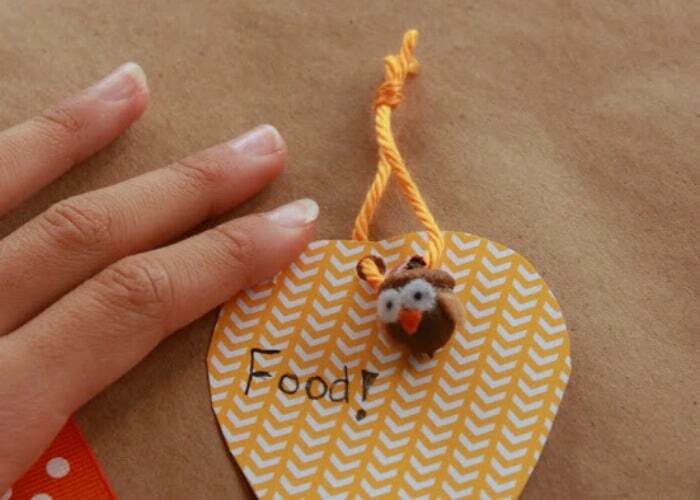 For the kids, acorns were also transformed into whimsical little owls with simple craft felt. 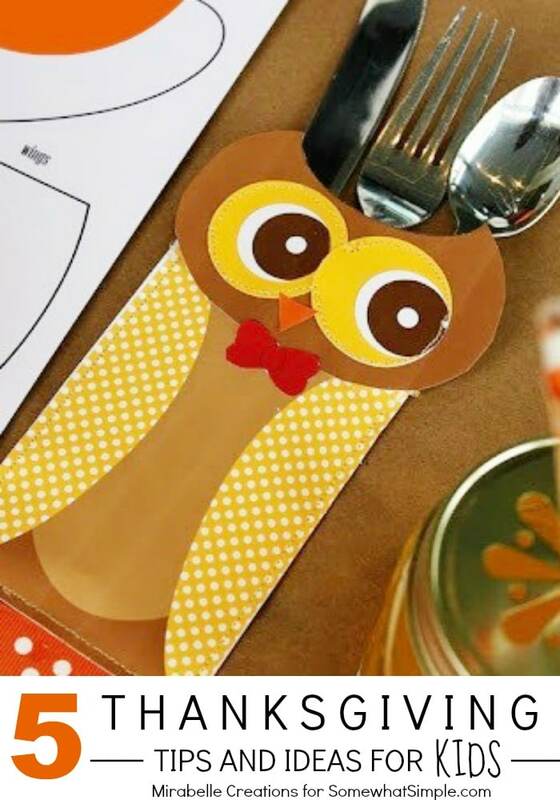 These mini owls would be perfect for your pint size guests. And, the little owls can be taken home as a party favor. 5. Choose Desserts for the Young… and Young at Heart. 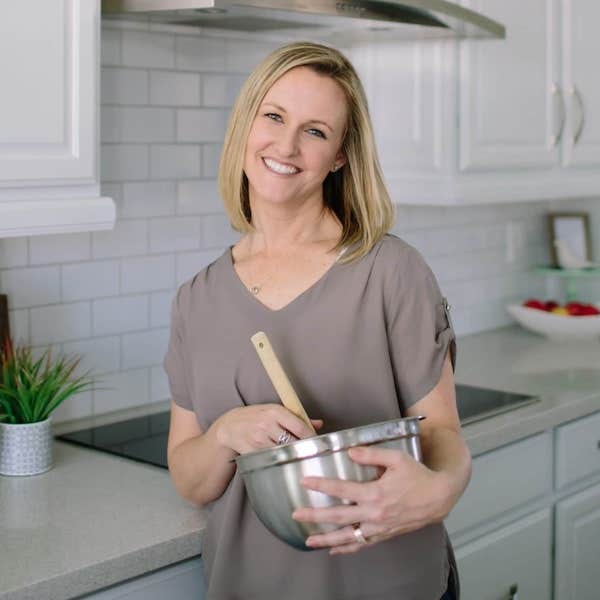 Although Pumpkin Pie is a perennial Thanksgiving favorite, kids appreciate a few dessert options that are just for them. Gumballs and Sixlets in apothecary jars add pops of color to a dessert table, but are also irresistible to little hands. 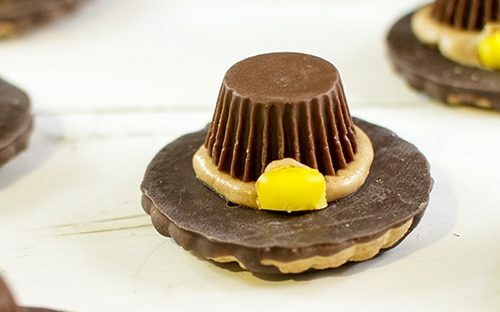 Mini pies and little cookies are also easier for kids to manage. Kids won’t be the only ones sampling these goodies. Adults will certainly be tempted by the candies and mini desserts, too. What advice or tips can you add to this list? We’d love to hear your ideas in the comment section below! 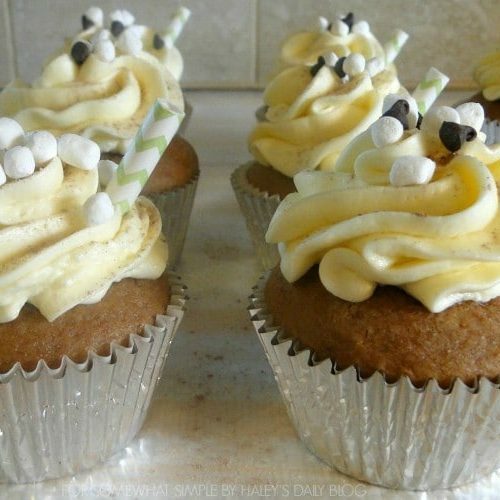 ABOUT THE AUTHOR: Deanna is the creative party planner from Mirabelle Creations. She contributed to Somewhat Simple in 2013. This post originally published on Somewhat Simple in November 2013. So cute! I like the own for the utensils and the actual tree to hang thankful things on. Thanks for your sweet comments, Cassie! Hope you have a very happy Thanksgiving! !